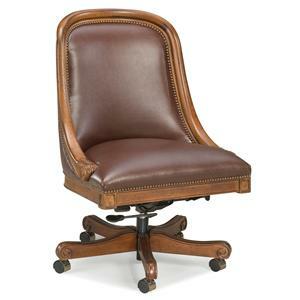 Infused with a delicate elegance created by its gently curved wood frame, this swivel chair is the ultimate in style and sensibility. 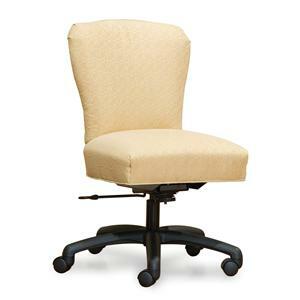 Comfortably upholstered and functionally equipped, this chair features plush cushion and an easy-to-use 360-degree swivel mechanism. Armless in form, this chair's svelte form will slide effortlessly under any table or desk - offering the most comfortable and convenient spot for working from home. 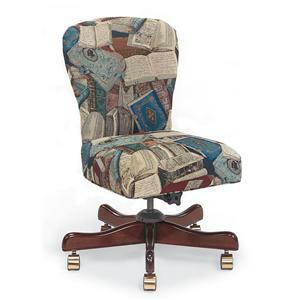 Accented with sophisticated nailhead trim and carefully carved wood detail, this swivel chair blends traditional style with optimal function for the ultimate office chair. 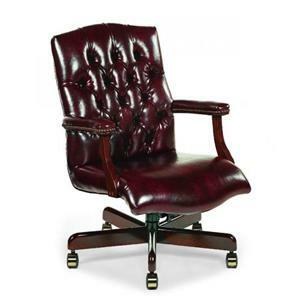 The Office Furnishings Curved Swivel Chair with Nailhead Trim by Fairfield at Stuckey Furniture in the Mt. Pleasant and Stuckey, South Carolina area. Product availability may vary. Contact us for the most current availability on this product. Finish Available in over 25 finishes in the following groups: Premium Plus Finishes, Premium Finishes and Standard Finishes. Seems like only yesterday leaving work also meant leaving the office behind. With today's lifestyles, our offices are just as important as any other room in the house. 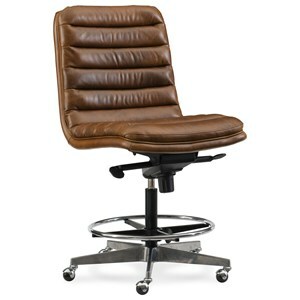 Even though work may get complicated, choosing furniture for your home office or work space doesn't have to be. 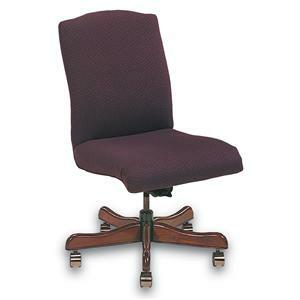 This collection offers a wide selection of executive and occasional chairs that will add versatility and function to any office space. Our warm leathers, soft fabrics and the patina of dark hardwoods combine to create and environment that will enhance your workspace wherever it may be. 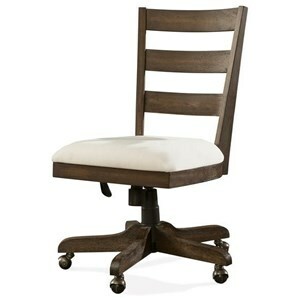 The Office Furnishings collection is a great option if you are looking for Traditional furniture in the Mt. Pleasant and Stuckey, South Carolina area. 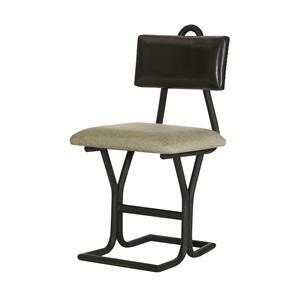 Browse other items in the Office Furnishings collection from Stuckey Furniture in the Mt. Pleasant and Stuckey, South Carolina area.